It has been my experience that gamers are regularly type-cast as a sedentary lot who prefer to live out lives full of danger and excitement through the various characters of their games of choice rather than making the more difficult choice to step outside and build an exciting life of their own. Whether or not that remains the entirety of the truth, I do think you would be doing the wonder of existence a disservice to spend every waking moment on your buttocks in front of a screen. But if that caught your attention at all, feel free to sit a while and listen while I spin you the tale of how the content and gameplay of Crystal Dynamics’ 2013 Tomb Raider reboot made a dramatic impact on my personal life and changed me from a couch-potato gamer into a genuine world-exploring adventurer (of sorts). Before delving too deeply into the vaults of the following topic, I would like to begin by briefly talking about the personal history that lead me to where I am today. I have been a lifelong gamer, starting with the Super Nintendo my parents purchased for my small family in the mid-1990s. Shortly after that, my father and I began playing Tomb Raider and Tomb Raider 2 together on the home computer. I say “together” here because I was the designated “health pack spammer”. My job was to punch the health pack key whenever his health began to drop. Since those early days I have dabbled extensively in many of the MMOs that have shown up on the gaming scene, from World of Warcraft to Star Wars: The Old Republic, and I’ve run the gamut of the various titles on the console systems. It was these games that gave me my first taste of the adventurous lives our fictitious protagonists live. Fast forward to 2005, when I made the commitment to join the military and see a bit of the world. I served an unremarkable career and saw much less of that world than I had hoped, other than the buildings of the bases I was posted to during my four years in the army and the towns surrounding them. In 2008, I broke my foot during a routine exercise on a training course and was returned to my unit and sidelined. The months that followed were an exercise in futility, in and out of hospitals to fix my foot, and this eventually lead to my medical discharge in 2009. After the army, I was depressed and bored. I had no clear path in life, no great desire to take control over my circumstances, and certainly no fire burning in my belly to get me out and about. In short, life began passing me by and I was content to let it do so. 2015 has been a new and exciting year for me. I discovered a website called Nerd Fitness in late 2014. This is a community of folks who are attempting to build healthy lifestyles in a comfortable and safe environment, where one can embrace and celebrate their nerdy or geeky interests. On the forums, members will create their profiles, introduce themselves, and then jump into writing up their own 6-week fitness challenges, many of which are centred around a theme embracing a favourite movie, show, or game. There is a wealth of information around to get you started, from the simplest bodyweight workout to the most extreme power-lifter or cross-trainer. It was here that I learned the benefits of applying the inspiration I found within my favourite video game characters to my desire to create a more healthy and engaging life. I asked myself what it was about the lives of action-adventure characters like Tomb Raider’s Lara Croft that inspired me so? Was it the weapons, gadgets, and cool vehicles? The wildly exotic locations of their excursions? Or the thrill of navigating puzzles and lone-wolfing their way through adventure after adventure? For me, it was all of the above. Cool gadgets and nifty vehicles are generally only a matter of cold hard cash and the same could be said for globe-trotting around the world to seek out new cultures and fascinating locales. 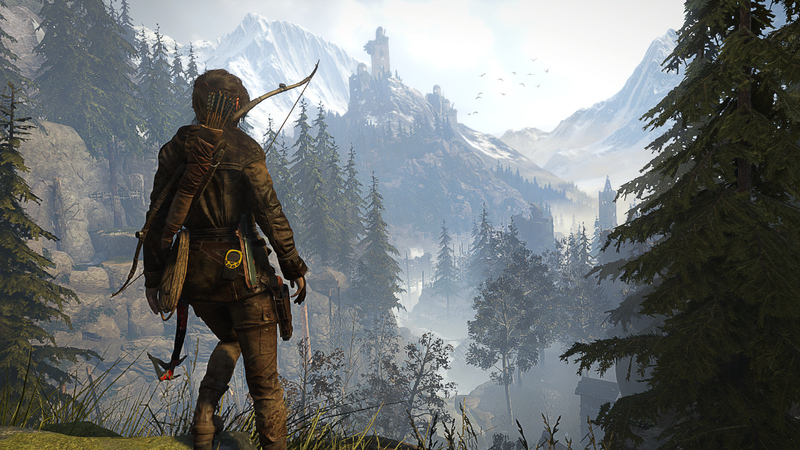 But the tricky part of living like Lara Croft is the source of adventure. Outside of the military or working in your country’s government intelligence services, you aren’t likely to stumble upon any grand conspiracies like Lara does in Tomb Raider 3 or face the dire circumstances of being stranded on Yamatai and fighting for your life. So I continued brainstorming along that point. What parts of Lara’s adventures could I realistically take away and incorporate into my own life while remaining relatively safe and comfortable in doing so? Luckily for us, there are literally heaps of adventures waiting for you right outside the door. You don’t have to commit to a 10,000-mile trek from Siberia to Australia like Sarah Marquis (although that would be an excellent goal to work toward). You don’t have to wind up shipwrecked on Yamatai or stranded in Tibet. No matter how mired you are by the trappings of civilization, nearly all cities give way to the vestiges of wilderness beyond their city limits. Out there, you can find hiking trails, wildlife preserves, and national parks. While these might not sound nearly as exotic as trekking through Atlantis to hunt for the next clue in your quest to claim a forgotten relic, that doesn’t mean you can’t get a couple of close friends or family members together to get out of town for a night and enjoy the fresh air. Most parks will feature a river or lake of some sort (maybe even nearby if you’re lucky) and will be served by a guiding or adventure company. These provide excellent sources of wisdom, information, and advice on how to plan and prepare for your own adventures. Rent a kayak or canoe and set off into the wild blue yonder above a crystal-clear unspoiled tributary. Camp overnight beneath the stars. Or look to the examples set by National Geographic’s Adventurers of the Year and see if you cannot find a source of inspiration from the incredible lives and journeys some very ordinary folks have embarked upon. Follow their example and begin planning at least the beginning to your own expedition into the unknown. One new craze that is sweeping the outdoors world is what has been called the “micro-adventure”, which was popularized by Alastair Humphreys, a British adventurer known for his expeditions across the planet that have taken him from the cold northern seas of the UK to the Sahara Desert to the Russian taiga, often on foot or by bicycle. He now promotes the more grassroots activity of packing a bag and bedroll before taking off for one night in the wild to get away from the day to day grind. A micro-adventure can be as simple as taking the most basic of survival equipment – a water bottle, some food, a flashlight or headlamp, adequate clothing for your location, and sleeping gear – and strolling out into your backyard or into some back-country to sleep beneath the stars. Numerous scientific studies have reinforced the healthy connection between the outdoors and the human body. This “return to nature” can be re-energizing and a welcome respite from the 9-to-5 grind, a mini-vacation that can be as simple as an overnighter or as complicated as a week-long (or longer) expedition. 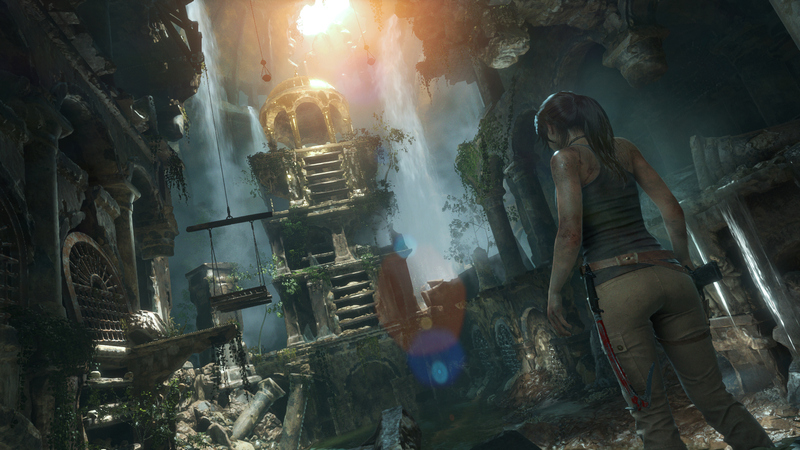 As fans of the Tomb Raider franchise, most of us are likely interested in the archaeological pursuits of our favourite heroine and her discoveries across the world. Our dedicated web-mistress here at The Archaeology of Tomb Raider has done an excellent job of giving us a glimpse into the fascinating world of archaeology. But we are only scratching the surface here. There is a whole world out there, with civilizations beyond all counting, that contains glimpses into human nature and perspectives beyond our own. It would be doing our ancestors a disservice if we did not strive to attain at least the most minimal understanding of their ways of life and the world they lived in. So pick up that old university textbook. Head to the library and exercise that library card. Even try out a video game set in a civilization you aren’t terribly familiar with if it will jump-start your interest in broadening your horizons. As loathe as I am to mention it, even Wikipedia can be an excellent place to start your online expedition into the murky past. Be constantly learning and always studying, just like Lara would be. Cultivate a worldly mind. Tomb Raider II gave me my first glimpses of both the Great Wall of China and Tibet, the latter becoming a lifelong intrigue that sees me devouring any movie, book, or video game – I’m looking at you, Uncharted 2: Among Thieves – featuring this relatively unknown country. Now my research has moved on from the inquisitive to the relevant as Tibet tops my list for the first major expedition of my own. Beginning to plan a trip of this magnitude has been a journey of self-discovery, starting with my introduction to Lara Croft in the late 1990s and stretching through almost two decades of study and research. The many shifting priorities along the way have taught me a great deal about even such benign topics as managing my own funding from pay check to pay check. Many smaller factors build up to so large a topic. Maybe now you are beginning to see that when we view the grand scale of the adventures our favourite characters embark upon, we often neglect to see the forest for the trees. Thank you for sticking with me through Part One. Next time, I will discuss a series of useful skills for the would-be adventurer. Some of these you might recognize as the survival skills Lara relied on during her foray on Yamatai, such as fire-building and shelter-craft, and the more mundane but equally important level of fitness Lara brought with her when she began the expedition aboard the Endurance and which surely saved her life along the way. We will touch on how to address these important factors as well as how they can be made to feel relevant and useful to your blossoming life as an adventurer in your own right. A Tomb Raider, if you will. 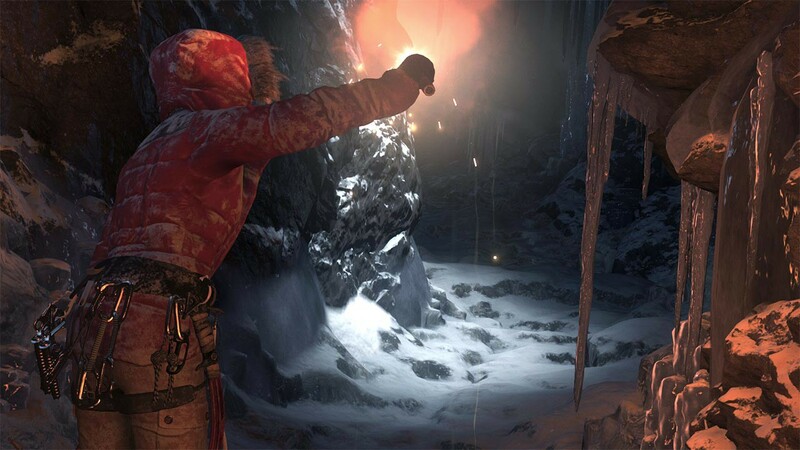 Part 2 of Rurik’s guest blog, A Survivor Is Born, or How the Tomb Raider Reboot Rebooted My Life, will be published in the not-too-distant future. Feel free to follow this blog on WordPress or subscribe to its RSS feed to find out when the next part of his guest blog is available online. If you are looking for an IRL adventure that will take you on a geeky treasure hunt in your local area, Id recommend Geocaching (I’d be happy to explain this at length if you’d like another guest cache Kelly). In short, you will have a lot of fun, win achievements in real life and online, and meet people with the same interests. Check it out! May we all become Tomb Raiders in some form or another! Stella, I need a one month vacation.